Fun cupboard the Zola van Woood. The cabinet has a black wooden drawer with a leather handle. 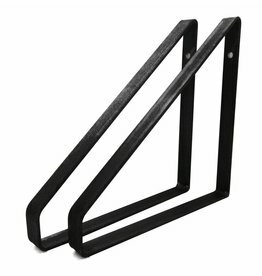 The drawer is placed on a black metal frame, which gives it a nice spatial and modern look. A clear assembly instruction is provided, and can be assembled with a few actions. 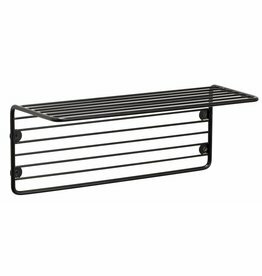 A black magazine rack from Hubsch on the wall. 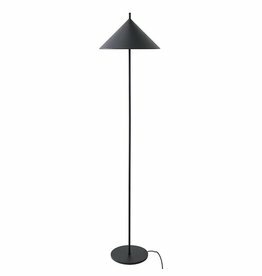 Black metal Triangle floor lamp from HK Living. 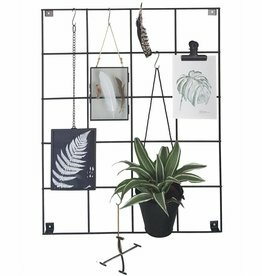 A black rack for on the wall, wall shelf from Hubsch.